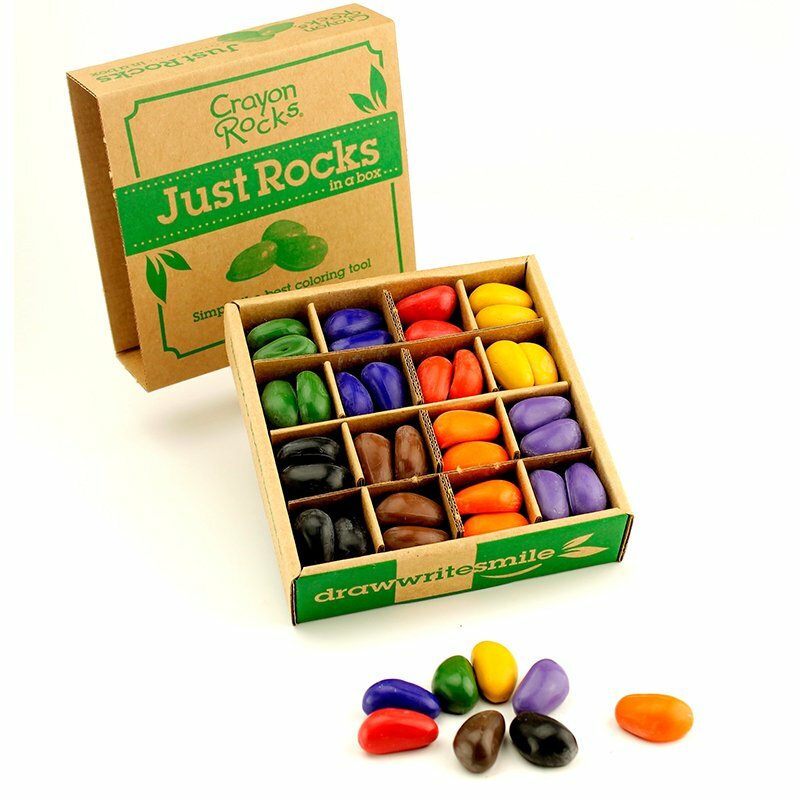 Crayon Rocks are simply the best coloring tool for young children! They are vibrantly colored and make beautifully textured art work similar to oil pastels. These all natural soy wax crayons are made from USA grown soybeans and colored with non-toxic pigment powders. They are designed to strengthen the tripod grip muscles in young children, preparing fingers and hands for handwriting. Our Just Rocks in a Box was designed for classroom use. Intended for classrooms of 24 children, this box typically lasts an entire year even with frequent use. For pre-schoolers ages 3-5 we have included just the basic 8 primary colors and there of eight of each making up a box of 64 crayons. Designed to strengthen the tripod grip muscles in young children and improve motor coordination. The perfect addition to your art center and stand up easel.